Harbortouch offers a full range of merchant services, supplying POS systems, electronic cash registers and credit card processing terminals as part of its unparalleled free* equipment program. As one of the largest and most reputable payment processors in the United States, Harbortouch currently serves tens of thousands of businesses nationwide. Harbortouch has also garnered numerous awards for its outstanding customer service and innovative products. Harbortouch values each merchant it serves, realizing that exceptional customer service is just as important as competitive pricing and innovative products. Our award winning customer support is handled entirely in-house and is available 24 hours a day, 7 days a week, completely free of charge to all of our merchants. 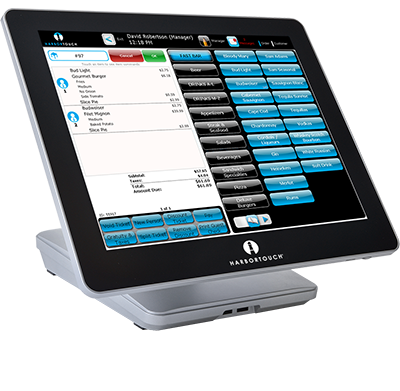 Additionally, professional installation and onsite training are included with every POS order. See how Harbortouch's customers have increased profits and streamlined their businesses. Harbortouch's primary goal is to provide exceptional service and value to our customers. Our merchant customers are the lifeblood of the company and our success is completely dependent on their satisfaction. Every decision we make must reflect the importance of preserving these relationships. As a company, we must always strive to provide our customers with the best possible experience with both innovative technology and sincere personal attention.